Preparing your own e liquid is mixing together three main elements – base liquid of VG and PG, flavor concentrates and nicotine that make up e-juice. You will not require all of them when you make your eliquid nicotine free or without any flavor. Though the idea might seem to be overwhelming, it is very easy to make your vape juice. There are two ways to mix DIY e-juice – by weight or by volume. When you are mixing by weight, each ingredient will be introduced to the mix by weighing it and taking its gravity into account. PG, VG, nicotine and flavorings have different weight each mL and you will require a vape juice calculator that includes these values to make everything easy. Mixing by volume involves calculating the volume of each ingredient by using a large set of syringes, particularly one per ingredient. Some cleaning need to be done as this process is a bit messy than squeezing liquids from one bottle to the other. It is suggested to mix by weight as it will be more accurate for small quantities of eliquid. Though mixing by volume is fine too, it may turn messier and will be less accurate than mixing by weight, for most cases. The two ingredients present in e-juice are propylene glycol and vegetable glycerin. Your base liquid is unflavored zero nic e-juice, can come premixed in the ratio such as 70/30 or 50/50. We would suggest purchasing a liter of VG and 500 mL of PG for flexibility over final ratio of the juice. This will help to determine how the juice will taste ultimately. With various concentrates to select from, you can combine them to prepare innumerable recipes. You can even buy one-shots where different flavors are pre-mixed. These are great for the beginners and major juice-makers who like to sell their own flavor as one-shot concentrates. Nicotine is completely optional and the strength you want to purchase will depend on the preferred nicotine level. You need to be careful when storing and using nicotine since its efficiency tends to be overstated but spilling higher strength might be problematic. You need to store base liquid in the squeeze bottle having nozzle tips for adding to your homebrew. A couple of 100 mL condiment bottles should be ideal. If you use nicotine, try to store it in cobalt or amber bottles that are dark in color with solid glass that helps in slowing down the degradation. Buy 10 mL plastic bottles for test recipes and 60 mL bottles to make large amounts of your UK made e liquid. These are inexpensive and widely available. Purchase sticky labels to write down the details before sticking it to the bottle. Thus, you may find it easy and more polished for using a label maker like the Dymo 160. You need to carry a box of disposable gloves all the time as they are invaluable and available at the pharmacy. 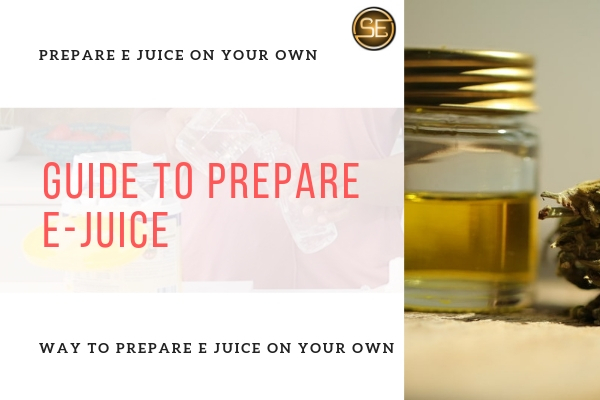 If you have necessary supplies ready for preparing DIY e-juice, the next step is to experiment with some tested recipes. 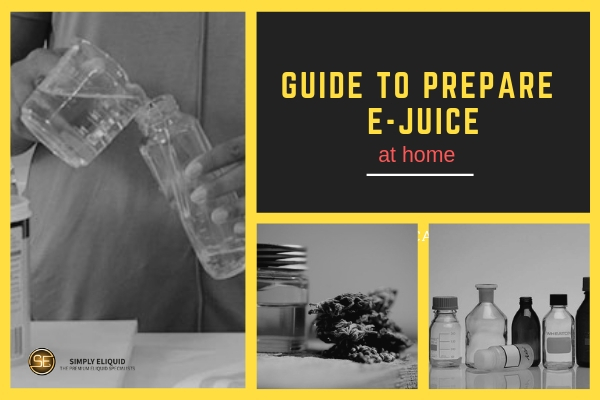 By following this guide, you can finally make high quality e-juice at home.